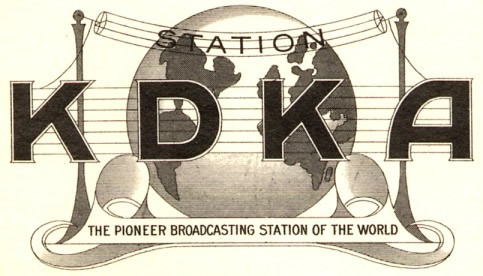 We pick up the continuing story of KDKA shortwave once again, and on this occasion we look at the events beginning in the year 1931. This was the time when KDKA mediumwave and shortwave moved from Forest Hills to a brand new station at Saxonburg Pennsylvania, a transfer from the east side of Pittsburgh to the north side. In an endeavor to improve mediumwave signal coverage into the main population areas of Pittsburgh, this move to their third location, was staged in 1931. A huge new station was constructed on a site in Saxonburg, after a total of 62 different sites in the greater Pittsburgh areas had been examined, assessed and tested. A new transmitter building was constructed at Saxonburg on a property of 130 acres, and four new shortwave transmitters at a power level of 40 kW each were constructed on site. The mediumwave KDKA transmitters were installed in the north end of the building, and the shortwave W8XK transmitters were installed in the south end. At this new location, each of the four shortwave transmitters was fix-tuned for general operation, and the main antenna systems were directional rhombics beamed on Europe, Africa and South America. In 1936, the quite recently organized FCC issued a decree requiring a separate license for each transmitter, though apparently a separate callsign for each was not required. During the following year, a new antenna system was installed; and in early 1939, shortwave W8XK was on the air with 20 hours of daily programming that was heard almost worldwide. With the clouds of warfare hanging over Europe in 1939, the FCC took action to regularize the callsigns of all of the shortwave stations in the United States. On August 20, the FCC approved a batch of new shortwave calls, and W8XK would become WPIT. The official date for the introduction of these new shortwave callsigns was September 1, 1939, though some stations adopted their new callsign a little early, and others were a little tardy. It would appear that W8XK became WPIT just a few days before the official deadline. However, parallel with the KDKA-WPIT mediumwave/shortwave enterprise in Pittsburgh Pennsylvania, Westinghouse was also developing another almost equally famous mediumwave/shortwave combination and this was WBZ-WBOS in the Boston area. Westinghouse laid plans to combine the two shortwave facilities into the one unit. Early in the year 1940, Westinghouse applied for FCC approval to close WPIT Saxonburg and to consolidate their shortwave endeavors at a new location at Hull on the Nantucket Peninsula opposite Boston. On May 8, the FCC granted a CP, Construction Permit, to shortwave station WPIT for a transmitter upgrade to 50 kW at this new location. Due to the inevitable delays associated with a major project of this nature, the FCC in May and again in August granted WPIT an extension in order to complete the transfer. As an unintentional finale honoring the end of the 20 years of Westinghouse shortwave service in the Pittsburgh area, all eight mediumwave and shortwave transmitters of KDKA-WPIT at Saxonburg were placed on the air for a special sports broadcast right towards the end of the year. In December (1940), station WPIT in Saxonburg was closed, and the studios and staff were transferred from Pittsburgh to Boston. The new shortwave station WBOS was inaugurated on January 1, of the following year 1941. In summary, there were four consecutive locations for the Westinghouse shortwave stations in the Pittsburgh area. The first location was in the second floor above the family garage at the corner of Penn and Peebles Streets in Wilkinsburg, and it was here that Dr. Frank Conrad was involved with various areas of shortwave experimentation and development during the years from 1920 to 1924 under the callsign 8XK. In subsequent years, an Elk’s Lodge was constructed right against the housing property; and these days, a Wendy’s Restaurant occupies the corner property at 116 Peebles St, Pittsburgh, PA 15221, where once the Conrad residence stood. The second location for KDKA shortwave 8XK and 8XS was on the top floor at the western end of Building K in the Westinghouse factory complex at East Pittsburgh, and it was in use from 1922 - 1924. Building K was demolished in 2007, and another modern industrial building was constructed on this spot, the Keystone Commons. The third Pittsburgh location for KDKA shortwave (W)8XK and (W)8XS was at the Westinghouse Research Center at 799 Barclay Ave in Forest Hills, PA 15221 and it was in use from 1924 - 1931. Subsequently, the original transmitter building was incorporated into a larger structure which serves these days as the Westinghouse Lodge in Forest Hills. The fourth Pittsburgh location for KDKA shortwave W8XK-WPIT was in the Westinghouse Research center at 375 Saxonburg Boulevard in Saxonburg, PA 16056, and it was in use from 1931 until the transfer of WPIT to Hull in Massachusetts in December 1940. This property was donated to the Carnegie research organization where a nuclear cyclotron was installed, though in more recent time, a commercial company known as II-VI (that is 2-6 in Roman numerals) took over the property. The original transmitter building still stands, as part of an enlarged structure.